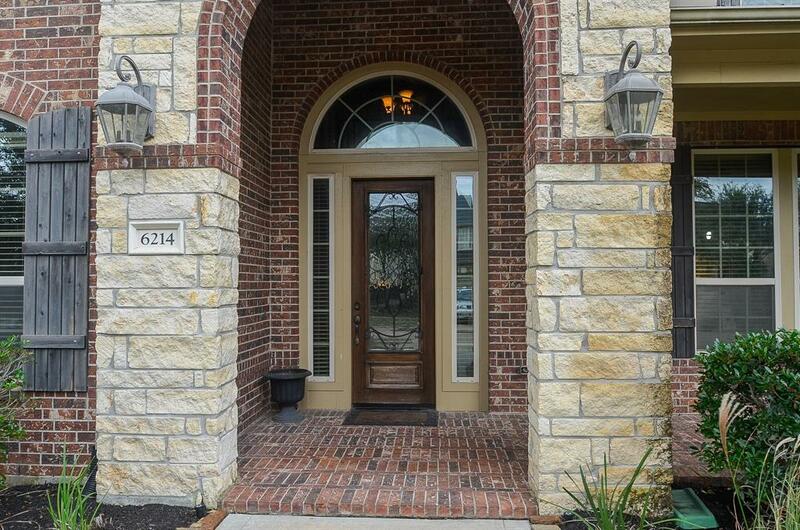 Luxurious 2 story brick & stone home in award winning Cross Creek Ranch in Fulshear in a very quiet section. 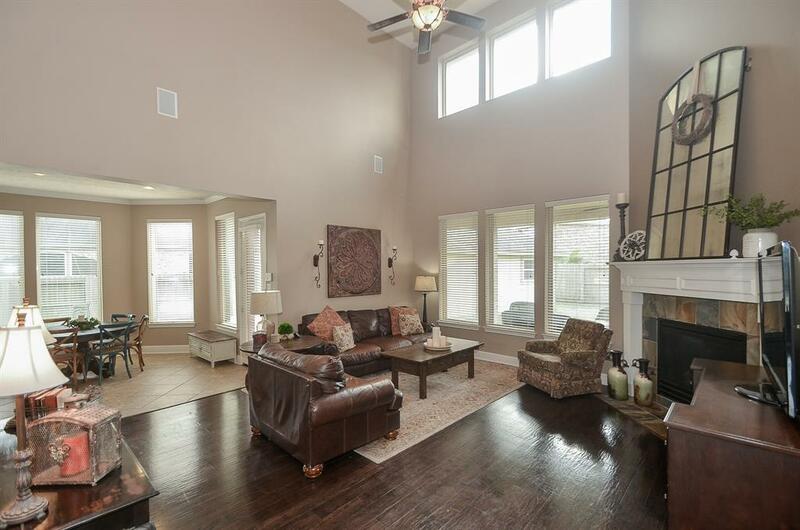 With Soaring ceilings in entry & family room with slate fireplace, this Home is full of options. 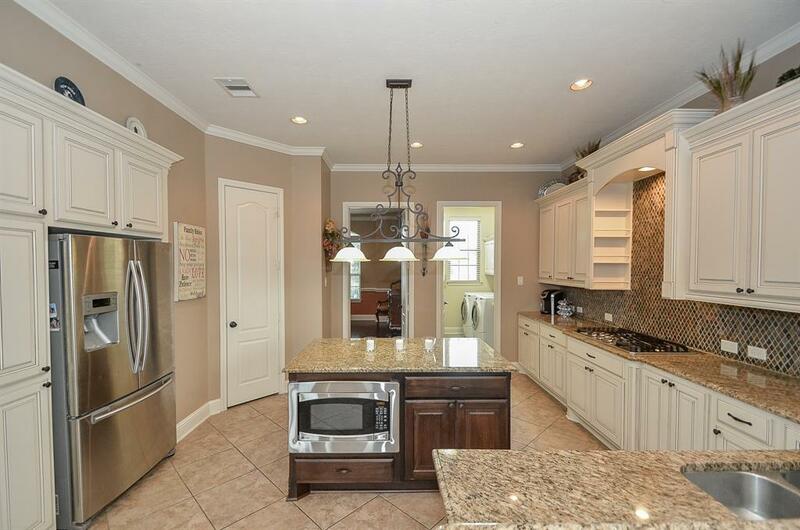 Gourmet kitchen has stainless steel appliances; double ovens, gas stove, Island with built-in microwave, Granite Counter tops and tile backsplash, breakfast bar & breakfast room. Formal Dining Room, Master Bedroom Suite & Study Down; Game Room & 3 bedrooms up. Master bedroom has tray ceilings & alcove area for relaxing. The master bath is equipped with frameless shower & Jetted Tub, Granite Counter Tops plus His & Her Sinks. Rod Iron Staircase Railing, beautiful Hardwoods & Crown Molding throughout. Electric iron gate for security and privacy, gas connection for outdoor kitchen, full home water softener. 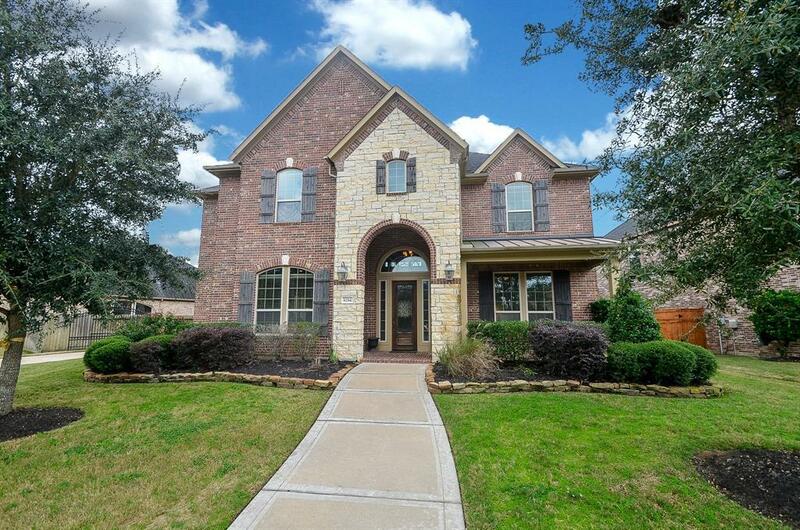 Community Center with resort style pools, hike, bike trails, lakes, and access to 6000 sq ft gym, great schools.